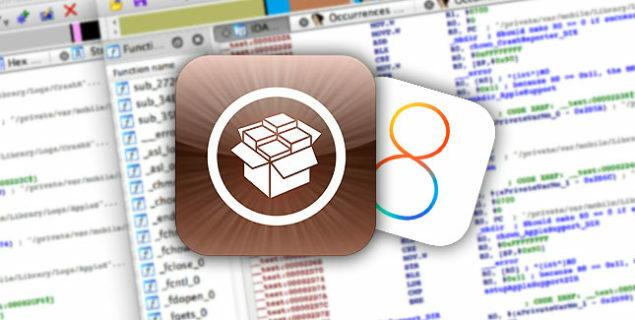 Cydia offers a wide range of tweaks and packages for jailbreak users that offer customization beyond iOS boundaries. From visual transitions to adding more functionality, Cydia has been a great source to look for tweaks and packages. In the today, Cydia has received another major upgrade that has two new features to offer its users. The features themselves are really important and its best for users with a jailbroken device to know about them. The Cydia 1.1.23 update has bug fixes and upgraded features which were highly demanded by user. The major feature add-up includes the ability to downgrade package versions and a discovery feature to find extensions for different applications for stock iOS apps. The entire changelog of the Cydia 1.1.23 update is also provided below along with an in-depth detail over the extended upgrade in features. As we have mentioned before, users are now bestowed with the ability to downgrade their packages to the previous version or any preceding version. This means that if the recent version is not stable enough for you than downgrading to to the previous stable version is viable as long as the package is present in the repository. So, say no to tweaks that crash every now and then, all you have to do is downgrade to the previous stable version. Downgrading a package does not require much, all you have to do is tap Modify >> Downgrade from the tweaks menu on Cydia and you’re all good to go. All too often, I release a new package, and find out during the first few hours after release that there was a serious regression :(. Even if I pull the new version, users who upgraded do not have a way to easily downgrade. Now, not only will Cydia allow you to downgrade to the “current” version, but it also allows downgrading to any previous version that is available on the repository. Going forward, I will leave previous versions online for some time while users are able to sort out issues. This feature was directly inspired by UnlimApps, who released a Substrate extension for Cydia called TweakHub. The idea: automatically determine what applications a Substrate extension is designed to modify, and use that to provide categorized lists based on the iOS applications you have installed. This technique is exciting, as it does not rely on repositories and developers to manually tag packages (this never works out): most of this information is already picked up automatically by Cydia’s “whole package index” :D.
A user reported a situation where they ran out of disk space, iOS cleared their caches, and then Cydia wouldn’t run. Update to Cydia 1.1.23 by going to Changes Tab in Cydia >> Tap Refresh >> Update after the latest version reloads on the screen. If an essential upgrade option is prompted for Cydia, simply go for the ‘Complete Upgrade. That’s all for now folks. Let us know how you liked the discovery feature on Cydia’s 1.1.23 update.